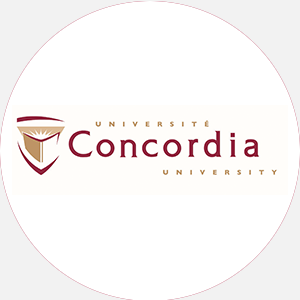 Concordia College is a private, four-year, coeducational college influenced by the presence of Luthe…. Concordia College is a private, four-year, coeducational college influenced by the presence of Lutheran missionaries in Alabama in 1922. Four females were part of the first class to graduate in 1926. The name of the institution was cConcordia College is a private, four-year, coeducational college influenced by the presence of Lutheran missionaries in Alabama in 1922. Four females were part of the first class to graduate in 1926. The name of the institution was changed in 1980 from Alabama Lutheran Academy and College to Concordia College. In response to the needs of church, community, and state, Concordia’s mission is to “provide an opportunity for individuals to obtain knowledge through Christian-oriented educational programs and services in an environment designed to meet their spiritual, academic, social, and physical needs.” This mission was shaped by the inspiration of the Lutheran Church Missouri Synod (LCMS), to provide an educational curriculum that helps students grow in Christian faith. The campus …includes nine buildings, all recently built or renovated. Buildings that were dedicated by the director of missions C. F. Drewes in 1925 are still standing. Concordia College is accredited by the Southern Association of Colleges and Schools to award the Associate of Arts and Bachelor of Science degrees. Academic scholarships are available to freshmen with a cumulative high school average of 3.0 or higher. Students should contact the Office of Financial Aid. Departmental scholarships are available to qualifying students. August 14 (priority); January 18 (spring). A high school diploma (or equivalent), minimum 2.0 GPA, and completion of the following units: 4 English, 2 mathematics, 1 science, and 3 social sciences. Letters of recommendation and an interview are required for some students. A application fee is required. Admission Application Deadline: Open Admissions; August 14 (priority); January 18 (spring). Admission Contact: Dean of Student Services, Concordia College, Selma, Alabama 36701; Telephone: 334-874-7143. A minimum of 64 credit hours and completion of the core program to include 6 hours of mathematics, 8 hours of science, 1 hour of computer science (for business administration and elementary education majors); 16 of the last 24 credit hours must be earned at Concordia. Campus Services: Health services, personal/psychological counseling, career placement, counseling, and tutoring. Campus Activities: Social and cultural activities include theater/drama and the choral group. Students can get involved in the student-run newspaper, the Hornet Tribune. Leadership opportunities can be found in such groups as the Student Government Association (SGA); Residence Hall Student Services, the Gentlemen’s Care Group; Phi Theta Kappa; and the Ambassadors’ Club. Housing Availability: There are 355 housing spaces available. Handicapped Services: The College is wheelchair accessible. August-April (semesters) Commencement and conferring of degrees: May One summer session.